Today we live in a different world. the burden for their own retirement security. 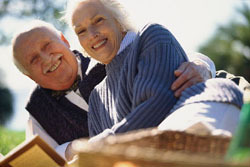 retirement when the cost of living increases? With Next Phase: Income for Life Strategy. What is Income for Life? It is an investment strategy with a central objective to provide reliable, inflation-adjusted income that lasts for the rest of your life. Click here to watch the Next Phase: Income for Life Seminar now. And download this brochure (pdf) to learn more about the Next Phase: Retirement Income Planning Process. You can have the peace of mind that comes from having a strategy to provide income for our lifetime. Start planning now with the Next Phase: Income for Life Strategy.